Let's get it out in the open - seriously, how many guys have ever owned a wallet? Have you ever held a pure leather wallet in your hands or brought it out of your pocket or bag to the looks of admiration in the eyes of onlookers? I love leather wallets (not purses, wallets) as much as I love ties. I can't understand why a guy won't use a wallet but prefers to have all sorts of stuff scattered in his pocket *urgh*. This article right here sums it up for me. Not every man out there sees the need for a wallet and not every man owns a wallet; the importance of a wallet cannot be overstated. The wallet could said to be as old as civilisation; after the introduction of paper money, man needed a way to hold it; by this, the first simple sack wallets were created. 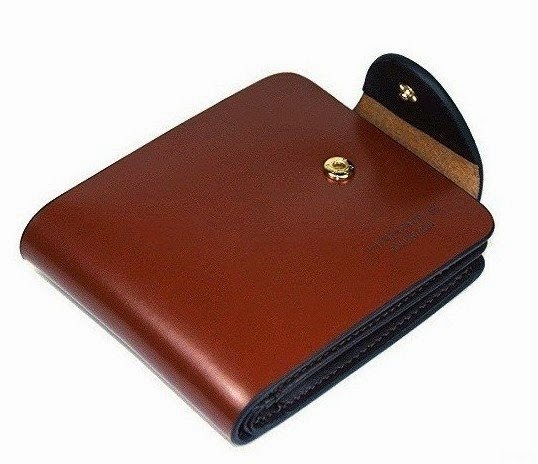 Since the introduction of wallets till date, wallet has never lost its value and doesn’t look to lose its value anytime soon, which means there is something about wallets. With a wallet, you feel confident and organised; wallets make you feel sure of yourself as you have this understanding of where everything you carry with you are. With pockets, you might get confused of where certain things are if you have so many things to carry along. A classy man ought to be organised. The various compartments in a wallet helps keep your things intact – your cash, identity cards, credit cards and every other thing that you might want to carry. The organisation and coordination a wallet brings is classy. Bringing out money or things like your credit card from your pocket is no replacement for the class a wallet gives; with wallet your notes are straight and neatly arranged and there is everything classy about that. Wallets these days are used to make a statement fashion wise; gone are the days when wallets were only about keeping valuables; the colour of a wallet and style is now important as wallets these days can be used to match with the colour of your belt, shoes or socks. Major designers now offer seasonal wallet collections of black and brown leather which includes highly fashionable branded wallets. Having a phone in your pocket is already enough load, putting other things might just make it feel unnecessarily bulky, but a wallet eases that load as it makes you feel more comfortable, and as we all know, a classy man ought to be comfortable and confident. These five reasons make a wallet special and a must have for every man. Have you ever seen a classy man without a wallet? I doubt so. I don't own the type of leather wallet i'd like to have......yet; but I do own a leather card holder and I get stares whenever I bring it out to get any of my cards. Really guys, seriously?